The abandoned Martin Tower in Bethlehem. An online video may solve a months-old mystery of whether or not someone leaped from the Lehigh Valley's tallest building. 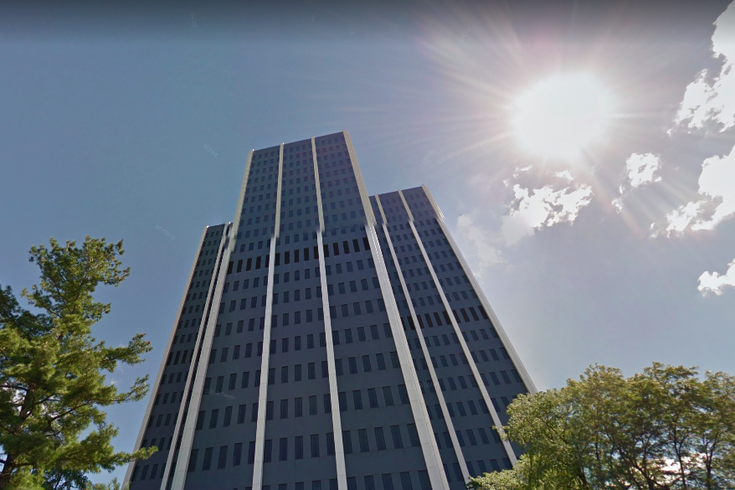 In January, Bethlehem police responded to an anonymous caller who said someone had parachuted off Martin Tower, the abandoned skyscraper that's been vacant since 2007. At the time, police found no immediate evidence of such a daring jump, according to LehighValleyLive. However, they still investigated the report after it caused a buzz on Twitter. It's not clear if the video published to YouTube on Saturday shows the incident in question. The video does, however, clearly show someone parachuting off the tower in winter weather. The video was published to the YouTube page Adrenaline Addiction. The channel consists of thrill seekers who perform a number of stunts, including leaping from tall structures. In the video, the jumper's identity is concealed by a voice modulator and a blot covering his face. According to the video's description, the person in the video isn't associated with the Adrenaline Addiction channel. "Crazy guy Leaps from building. I found this clip online and thought it was cool enough to share, enjoy," the description reads. You can watch the video below. Disclaimer: It contains explicit language. A call to the desk of Bethlehem Police Capt. Anthony Leardi, who was quoted in the LehighValleyLive article about the initial report, was not immediately returned Saturday afternoon. Neither was a call to the department's non-emergency phone number. The mailbox to that number was full. Martin Tower was constructed in 1972 and has been empty for more than a decade. Standing 332 feet tall, its future remains unclear.